George Clooney is timeless. His acting is extraordinary, his warm personality is inviting and he's pretty easy on the eyes. This silver fox is so celebrated that Alexander Payne, the director of The Descendants, nicknamed TIFF the "George Clooney Film Festival." The man has it all - including new girlfriend Stacy Keibler - but there's one thing he was missing last night: an answer. I stumped George Clooney. Really, I did. 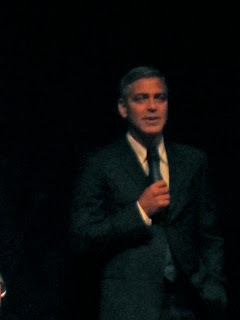 The world premiere of The Descendants was held at the Elgin Theatre in Toronto last night. 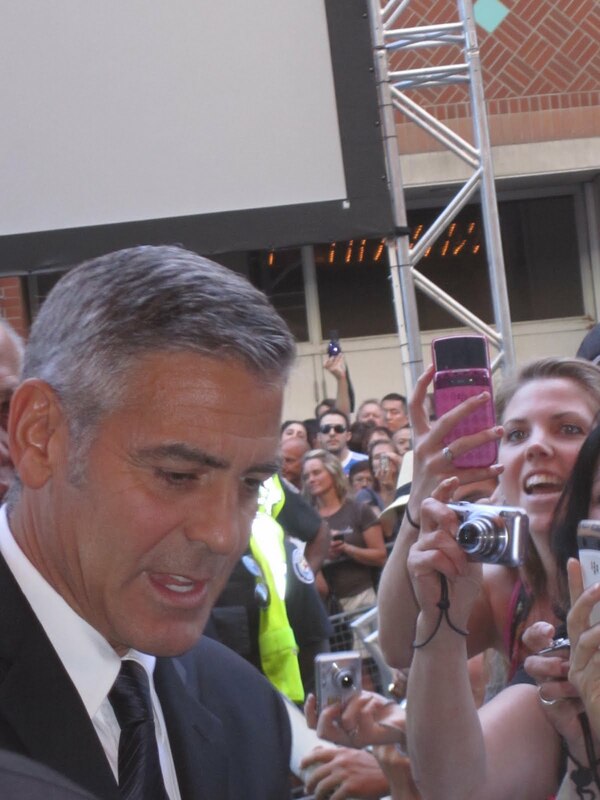 George Clooney made sure to work the crowds, showing off his pearly whites and and touching some fans' hand. I really didn't think I could do any better than having my hand touched by George Clooney. It was a George Clooney fan's dream come true. But boy did my night improve. "George, we haven't seen you play a family man for quite some time. What drew you to this role?" Well, my question certainly drew some laughs from the crowd. Even George Clooney was laughing on stage! He was a little lost for words and stalled by muttering "um" a few times while laughing. 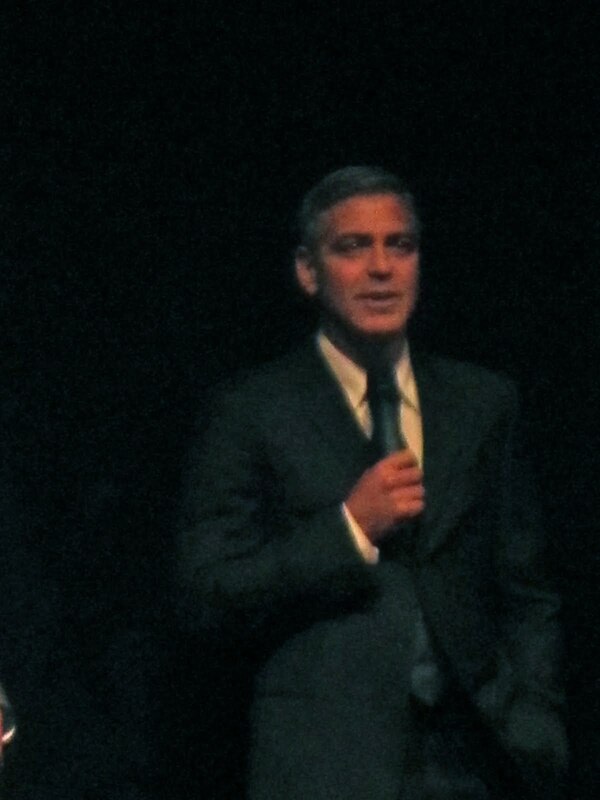 When he finally answered, George Clooney stared directly at me and joked that he's not a great family man. He then said that he never viewed his character in The Descendants as a "family man," rather he was drawn to the story. Good answer, don't you think? And that, A-Listers, is my George Clooney experience. Update: Reuters posted a story about my question! How completely cool. Mind if I drool on your site a bit? Wow....hand touching and making him 'ummm' - girl, you are awesome! !